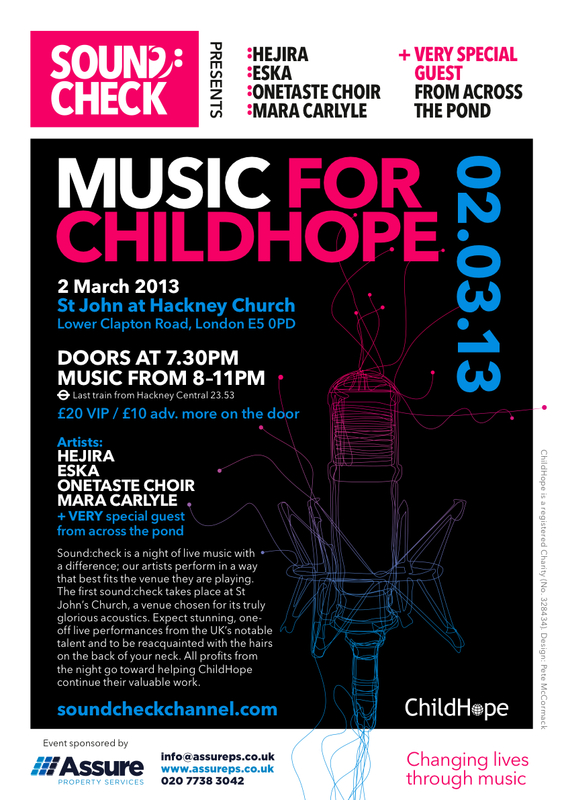 On Saturday 2nd March, I will be singing with the OneTaste Choir at this spectacular event at St. John at Hackney, all in aid of ChildHope. There will be beautiful music, some of which we will be harmonising with, and there will even be a very special guest. If you are in, around, or can get to Hackney this Saturday night, I strongly recommend that you attend. You wouldn’t want to miss out now would you? Image | This entry was posted in Gigs and tagged check, choir, onetaste, Sound. Bookmark the permalink.